A who’s who of senior professional golf in this country is expected to invade the Hawkesbury region in November for the Australian PGA Seniors Championship. Players like Peter Senior, Rodger Davis, Wayne Grady, Peter Fowler and Mike Harwood will contest the $70,000 Championship at the attractive Richmond Golf Club in Sydney’s north-west. The Australian PGA Seniors Championship will be played from November 1-3, 2013 and is part of the E-Z-GO PGA Legends Tour which gives many of our amateurs an opportunity to tee it up alongside some of the legendary heroes of professional golf in this country. It’s the first time in the event’s 27-year history that the event has been played at Richmond. “Hosting this event is a great boost for not just the Richmond club but the entire Hawkesbury area,” said Richmond Golf Club CEO Kimberley Talbot. 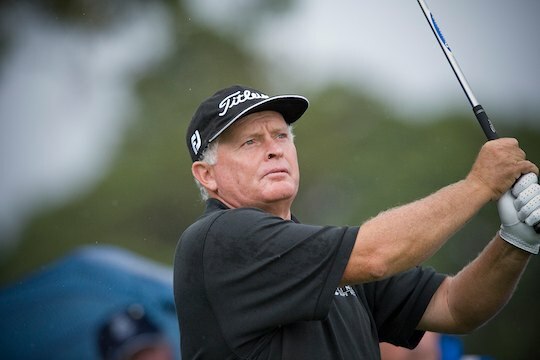 The honour roll of the Australian PGA Seniors Championship boasts such big names as Peter Senior, Peter Fowler and Mike Harwood as preview winners. Players will love the lush open fairways of Richmond thanks to the use of recycled water. This club was established in 1897 and still remains on the original land to this day. Richmond even boasts its own version of ‘Amen Corner’ with the 13th, 14th and 15th expected to be the catalyst for someone to perhaps grab a birdie or two to secure a win in this elite event.